At the Yau Law Firm, we are a big fan of sports. After all, we are attorneys who represent athletes and sport teams in business negotiations and licensing agreements. 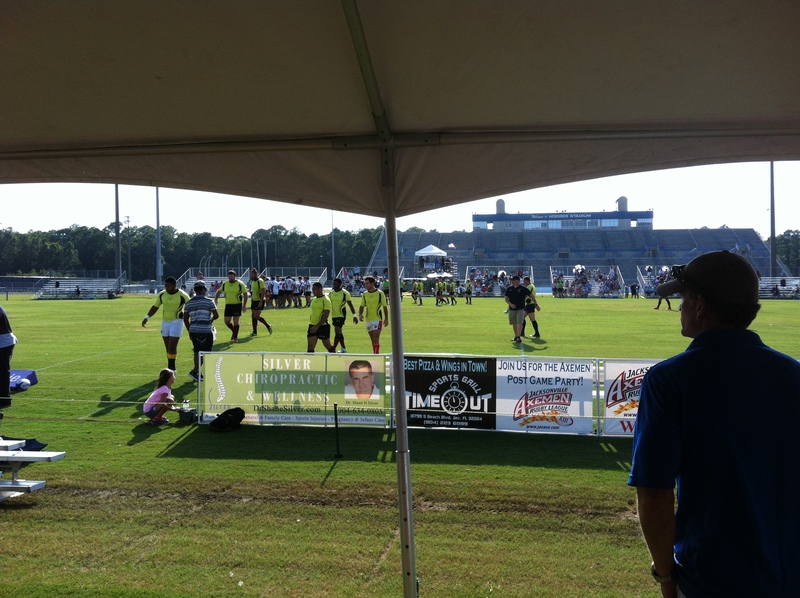 But, we love seeing a good show, and that is what we saw at the National Rugby Championship game on August 23, 2014, hosted at the University of North Florida by the Jacksonville Axemen. The Yau Law Firm has assisted the Jacksonville Axemen in business and trademark representation, and to this date, the Axemen have become a well known team in the community. Started in 2006, the Jacksonville Axemen quickly rose to success as an expansion team of the American National Rugby League (“AMNRL”), and in 2010, won the AMNRL Championship. The Jacksonville Axemen have hosted various national and international rugby events, including the 2014 National Championship between the New Zealand Thunders and the Presidents Barbarians. The Yau Law Firm was a sponsor at the National Championship and brought a sideline reporter to the game. The rugby match can be seen on CW 17 Jacksonville, and around on the world on Live Stream. To find out what we can do for you or your team, give us a call today!